By special order of Sir Tiger, our cat brother birthday purrthday boy, we've added some birthday tags to our collection of pawesome printables made especially for cats. I know! CATS! And we've shared them here on our dog blog! Feel the love, cat friends! Of course, the dogs demanded that there be a matching barkday set so we're sharing a double dose of birthday freebies. Woohoo! Looking for a different colour? General use tags? A different occasion? 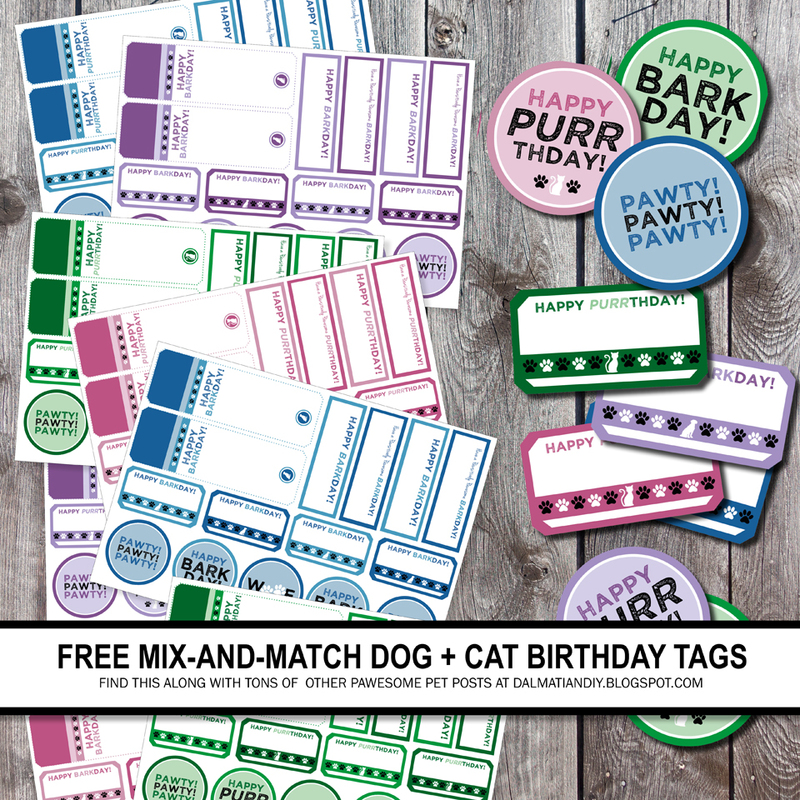 You can find all of our freebies here, including our giant collection of text-free mix-and-matched coloured paw tags. As some of you may have noticed in the temporary sidebar notice, we're updating and reformatting some of our old content and this includes a number of our freebies. As a result, som older content may not be available in the short term, but on the bright side this is a great time to comment/message with any special requests. You never know what fun freebies may be coming your way in future posts. Yay!